Rooms are available to rent for meetings and events. This 6 week program is offered in 4 different sessions throughout the school year, for children ages 3-5 years who are toilet trained. A variety of classes are offered which include activities such as arts and crafts, music, story time, nutrition education, early learning skills, socialization, sports skills, active games, science, and much more. Parent must accompany the child and remain on premises during the entire program. Additional parent programming available. Please contact the community center for more information or for dates and times check our online registration. The after-school program is for children ages 5-12. 5-year-olds must be enrolled in elementary school. Activities include homework help, reading program, group games, sports, arts and crafts, board and table games, special events, and more. The program is free except for some special events. Please contact the community center for more information or for dates and times check our online registration. As an extension of the after school program, youths ages 9-12 can develop skills in communication, planning, and leadership. Youths will be challenged to introduce, lead, and evaluate new games and activities as well as plan and participate in events. Bring your ukulele, your voice, and come join in the fun. If you have never played before, no worries. 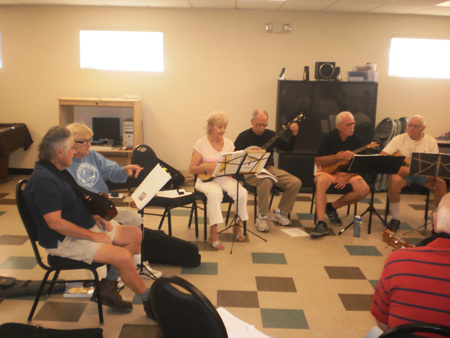 It's a great place to learn or just be part of some good music and good company. Other instruments welcome. Meets every Friday at 10:30 a.m. Free program. Did you know table tennis is one of the best activities to increase hand-eye coordination, mental acuity, reflexes, balance, burn calories, and is a great social outlet? It’s never too late to get in the game, so bring a paddle and get ready to play! Enjoy a good game of cards or playing board games? Come join us each Thursday for some friendly competition, fun, and socializing. County Line Riders of Catalina: Every second and third Thursday of the month at 6:30 p.m.